LEYENDA aims at high level ballet folklorico training. Our class has a structured discipline. Our group is not a recreational group. Teen and young adults train to dance in HIGH END SHOWS in a fast paced environment that requires and develops high FITNESS, endurance and cardio capabilities for shows that are scheduled through each month. Members of the performance team must be within 25 miles of the studio to be consistent and to be able to form a cohesive dance team that can thrive together. ADULTS THAT ARE INTERESTED IN LEARNING CAN ENROLL after being evaluated and approved by directors. (Up to 30 years old) Adult candidates must have superior fitness to sustain 3 hours of cardio. Contact directors to request audition. We reserve the right to mix dancers from different levels or age in a case by case basis for example to prepare for large shows in which all levels are going to perform or in the transition or a dancer to a new level or other scenario. Approved by Director only. We reserve the right to recommend a class that fits the skill. We reserve the right to refuse service. By paying tuition you agree to our terms and conditions and we hold the right to run our company the way we see fit. 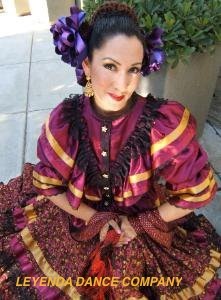 Join our Ballet Folklorico Classes today and find out why we have been named the best Ballet Folklorico Group in Riverside County. 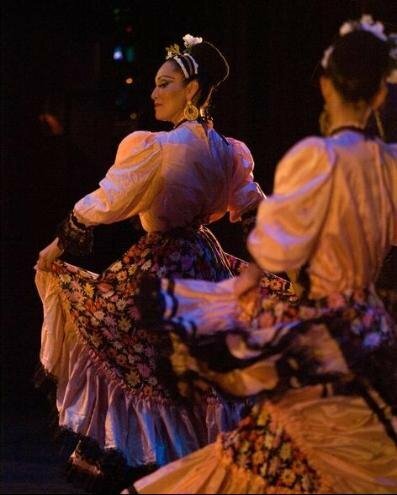 We have a unique dance system in which our folklorico students learn fast and enjoy being challenged to a very high standard of expectation. We teach performing Arts level stage presence, ballet technique-posture, stretching techniques, a comprehensive and customized warm up workout. 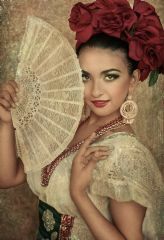 In addition to this, we do frequent ballet folklorico evaluations to test if the students understand the dances and the concepts behind the dance routines. 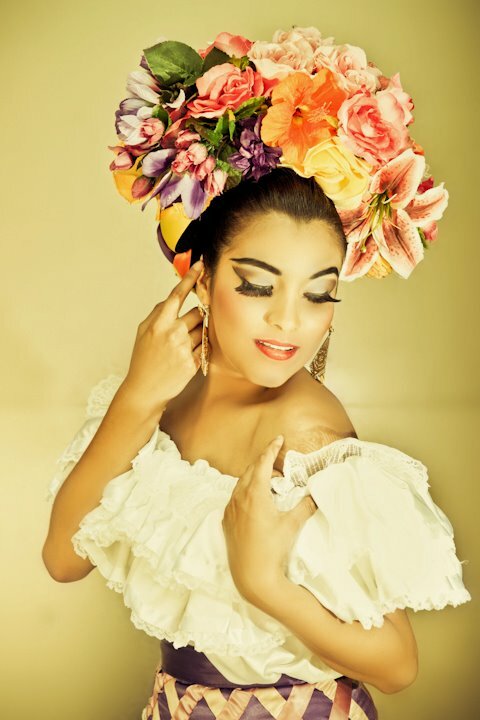 Students are encouraged by preparing themselves for SHOWS, FOLKLORICO RECITALS, TV SHOWS, EVENT SHOW performances, etc. 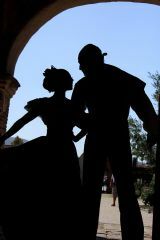 LEYENDA BALLET FOLKLORICO STYLE: We have developed our own particular style of instruction our own signature dance style while still, following the traditional ballet folklorico rules. 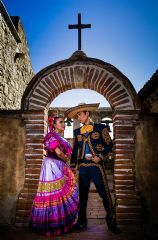 Our ballet folklorico style is geared towards media events, high end events, TV shows, Hollywood movies and commercial therefore has stylization to fit any performing arts demands.